Automate Actionable Reports. Try it Free. Simplify Anomaly Detection. Try it Free. It has been just 2 weeks since we released Skedler v 1.3, but we are thrilled to announce the availability of Skedler v2.0, the next generation of the Report Scheduler for Kibana/ELK applications. The new version has been re-architected from the ground up to provide an amazingly simple but powerful reporting solution for your ELK based log analysis, security, or analytics applications. The new release supports the latest release of Elasticsearch (2.2) and Kibana (4.4). This is inline with the commitment to our customers to have Skedler keep pace with the latest releases of Kibana and Elasticsearch. Our philosophy is that customers shouldn’t have to worry about the frequent architectural changes in Kibana or Elasticsearch. We will handle it and make your life easy! 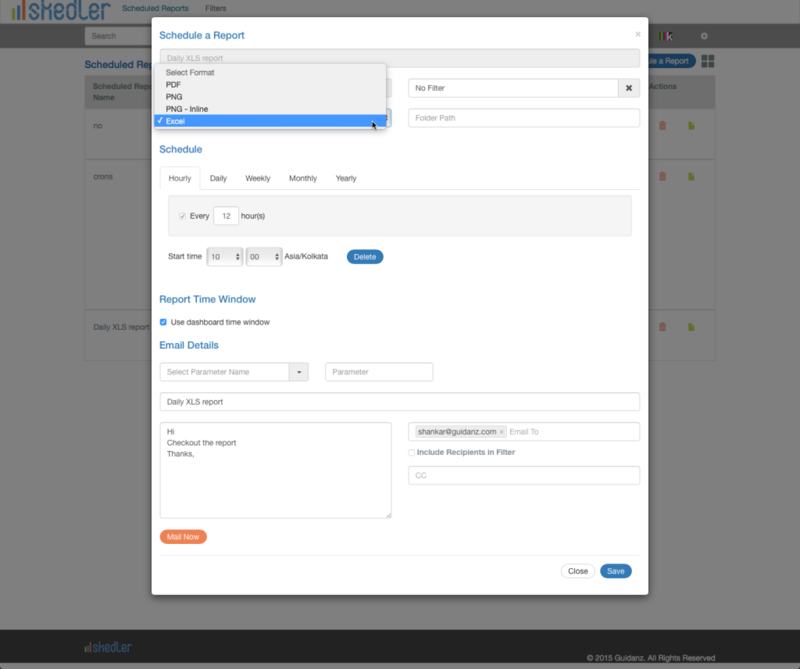 Skedler v2.0 provides a step-by-step approach to scheduling reports. You can create reports from dashboards or searches, customize the report, schedule it, and set up the email template in an intuitive UI. If your end users prefer to use Excel to analyze the data, Skedler makes it so easy to deliver the data to them in a timely manner. Simply create a search in Kibana (you don’t need to create any dashboard) and schedule a report in Skedler based on your search and configure it to email XLS reports. Your end users will be happy and your life will be easy! 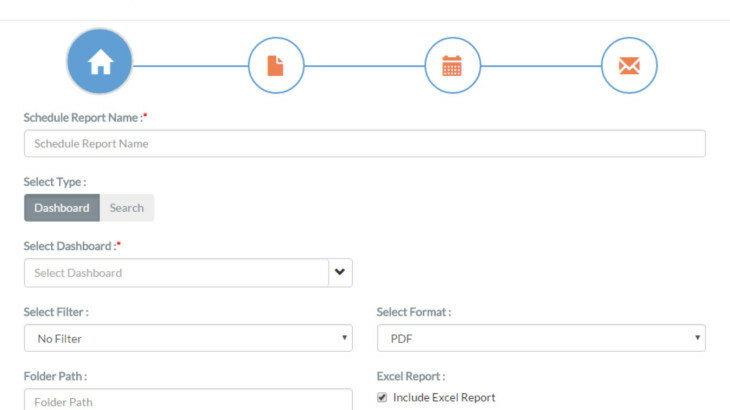 You can now customize the PDF reports including the logo at the individual report level. So, if you are sending out reports to different customers, you can customize the reports with their logo and offer a personalized analytics solution. Skedler v2.0 has many more enhancements such as dynamic filters on Search based Reports, performance improvements, and not to mention that it includes all the goodness that Skedler v1.3 introduced. If you would like to see a live demo of Skedler v2.0 or would simply like to test drive it in your environment for 21 days, contact us to get started. Skedler v2.0 – Next Generation Reporting for ELK is Here! Skedler v1.3 is here, loaded with features! We’ll get back to you shortly about the inquiry. Want to take a spin? Are you using Grafana Enterprise? Are you using Grafana Cloud?